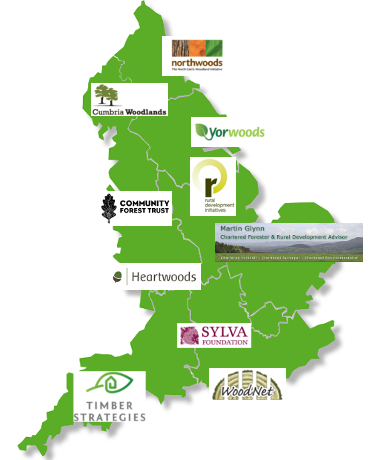 Northwoods has joined a consortium of organisations providing business support to forestry businesses across England in relation to new grants within the new Rural Development Programme (RDP), set to start in 2015. The consortium known as FACE (Forestry Advisory Consortium England) has been contracted by Forestry Commission England to provide targeted and free one-to-one business support. Northwoods is providing this service across the North East of England. See map for providers elsewhere across England. Details of future schemes under RDP are yet to be decided but if arrangements are similar to the last programme the most obvious interest for grant support might include kit (timber harvesting extraction and primary processing equipment) with an emphasis on innovation.